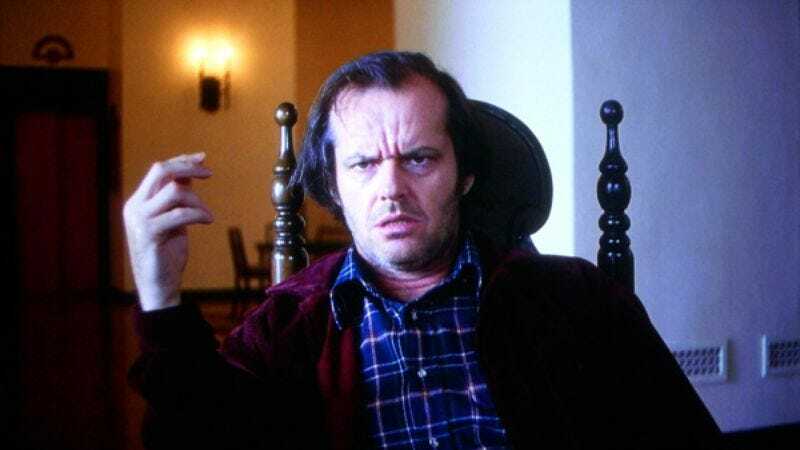 Revealing the depths to which its many conspiracies still go, Stanley Kubrick’s former personal assistant Leon Vitali has come forward to dismiss Room 237 and its myriad theories about The Shining, prolonging the cover-up by proclaiming the documentary as “pure gibberish” and “total balderdash.” Vitali, who is British and somehow not 100 years old, spoke to the New York Times regarding the many theories Room 237 puts forth about the movie he helped make, saying he was “falling about laughing most of the time” while listening to them—most likely to keep up appearances for spies, but officially, because what most of what these Shining theorists see as Kubrick-planted evidence is total happenstance. For instance, Vitali says, the suggestions that Kubrick was commenting on the Holocaust by having Jack Nicholson echo an old, anti-Semitic Disney cartoon by reciting “Three Little Pigs” (it was improvised in the moment) or do his writing on a German Adler typewriter (it was Kubrick’s and it looked good). Or the theory that briefly glimpsed cans of Calumet baking powder are supposed to be reminiscent of the Native American genocide (the cans had pretty colors). Or that Kubrick was actually retelling Greek myth by featuring a poster of a Minotaur (“It’s a downhill skier,” Vitali says. “It’s not a Minotaur”). Or that Kubrick was admitting complicity in faking the moon landing by having Danny wear an Apollo 11 sweater (a friend of the costume designer knitted it, and Kubrick wanted something handmade). Of course, all of Vitali’s protests ignore the separating of authorial intent that is key to any deconstruction of a work of art, as well as the fact that Nazis are still clearly watching Vitali from their secret, Indian blood-powered moon base. So take this all with a grain of salt.